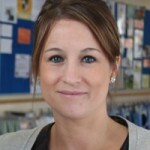 Nicola started as a practice administrator at our Stowmarket centre. She progressed to assistant practice manager there and now leads the team at Moreton Hall Veterinary Centre. As well as being passionate about pets, Nicola is an advocate for excellent client service and enjoys managing a caring, compassionate and professional team. Denise is keen animal lover with a number of pets of her own. She is particularly interested in dogs and has Willow, a Jack Russell and Ralph, a rescue dachshund. Her passion for delivering an excellent compassionate service to clients has been an inspiration to her teams and she looks forward to meeting new and existing clients at Ipswich. 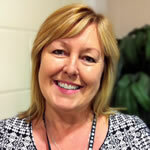 Lynn joined Stowe Veterinary Group in 1994, moving from a background in personnel/administration and sales/marketing. 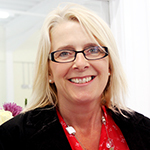 Lynn’s roles expanded with the growth of the practice and in 2005 she became the Practice Manager at Stowe Veterinary Centre and its two branch surgeries. As well as overseeing the day-to-day running of the practice, Lynn’s main priorities are ensuring that staff are happy, that everything runs smoothly and a high standard of service and care is maintained across the whole veterinary team. In her spare time, Lynn enjoys spending time with her fiance and their own pets, which include three boisterous Cocker Spaniels. Lynn is also passionate about tortoises and enjoys helping to promote good tortoise husbandry.